If you need to know what a user on your computer is doing, finding out what they are typing can be a big step towards the answer. Romaco Keylogger operates as a standalone executable, so it is very portable and descrete. It can also hide itself so well that the only way to see it again is to effectively 'mash' the pause/break key on the keyboard, something a normal user is not expected to do. 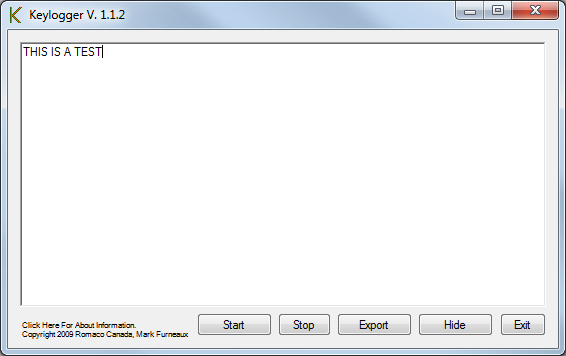 It has an immediate results window, and it also automatically exports to a log file.